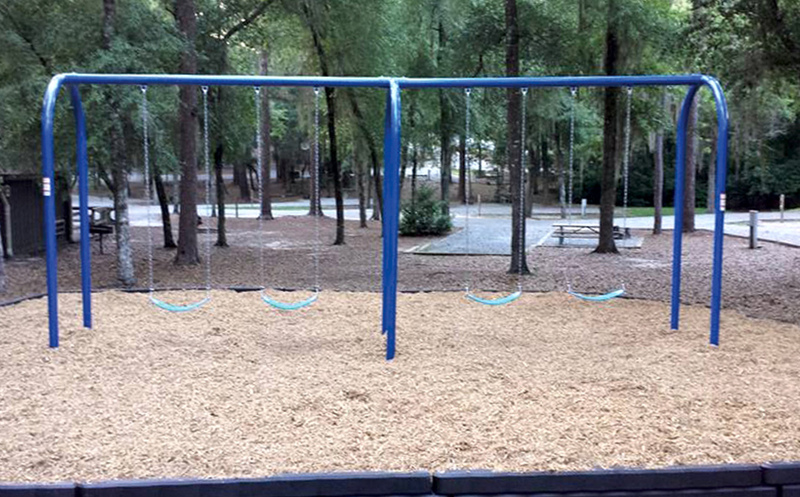 Supported by a local Friends chapter and conveniently located off Highway 441 in south Georgia, this park features a wide variety of amenities. Golfers can test their skills on the 18-hole Wallace Adams Course with clubhouse, golf pro and junior/senior discounts. During summer, children will especially enjoy the splash pad where they can run through fountains and squirt their friends. The park’s 2.6-mile Oak Ridge Trail winds through sand hills, scrub oaks and pines, taking hikers to a short boardwalk. Little Ocmulgee’s campground is nestled among live oaks and Spanish moss, while rental cottages have beautiful lake views. A 60-room lodge offers hotel-style guest rooms, meeting facilities and a restaurant with golf-course view. Little Ocmulgee State Park is a beautiful and affordable location for meetings, reunions, weddings and other group gatherings. For a full listing of events and information about Little Ocmulgee State Park and Lodge Historic Park visit the Georgia State Parks page.